Hello I'm Jay Hinton, a fellow WWII jeep enthusiast. I'm pleased to offer both the highest quality reproduction parts, as well as original take-off parts. I take pride in making sure the customer gets the best parts they can for their buck. Please feel free to call or email me with any questions that you may have. 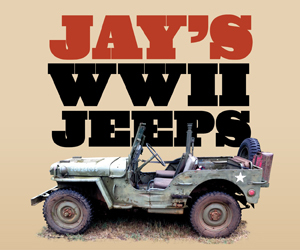 I'm pleased to offer the highest quality reproduction parts for your WWII jeep, whether it be a Willy's MB, Ford GPW or Ford GP. I have a large selection of quality take-off parts if you're looking for an original piece for your jeep. Please email me with your must-have parts list for that special project you're working on.